Come Read With Me (CRWM) is a literacy program that brings together community volunteers and young readers at our partner after-school care sites for 30-minute reading sessions. At each reading session, children sit and read with a volunteer and participate in a group read-aloud. The read-aloud is intended to stimulate questions and encourage children to interact in thoughtful and lively discussion revolving around the children’s questions, opinions, and insights. After the read-aloud, the children read the books they chose with a volunteer. The volunteer reads to the assigned group of children and engages them in fun and immersive questions and conversation. When a child shows competent reading ability or true excitement about the book, volunteers encourage the child to read to the entire group. The CRWM program is offered during an eight-week fall session, an eight-week spring session, and a six-week summer session at each comfortable and inviting host site. The Come Read With Me team is comprised of Outreach Program Specialists and our dedicated Volunteers. Approximately one dozen outreach program specialists work in the Come Read With Me program. They are essential to coordinating with each site and ensuring that each child gets the attention and experience needed and deserved. Program specialists typically have a background in education or extensive experience in reading to and with children and are willing to help them grow. There is one program specialist assigned per site who serves as the leader of the youth assistant, volunteers, and children. Program specialists are hired on an as-needed basis. Though listed as part-time, they are at their assigned sites eight weeks in the fall, eight weeks in the spring, and six weeks in the summer. Program Specialists typically have staff meetings the week before each session begins and occasionally staff meetings between sessions. Serves as ambassador to provide information about Metropolitan Library System services and events to CRWM participants and families. Abilities: Physical ability to lift medium sized articles, sometimes weighing up to 50 pounds maximum and carrying of objects weighing up to 50 pounds; pushing and/or pulling objects weighing up to 50 pounds maximum. Interested in serving as a program specialist part-time? Watch the Metropolitan Library System’s Jobs page for available opportunities. Not only will you grow as a person, but you will lead children to a brighter future and you will be key in making reading a central part in their lives. Volunteering with Come Read With Me is a special experience that offers adults, high school, and middle school volunteers the chance to change young lives. Come Read With Me sessions occur depending on the needs of each site. Typical hours during the school year range from 3:00-6:00 pm. During the summer, typical hours are 9:30-11:30 am. As a Come Read With Me volunteer you will be reading books to children, helping them read to you and their friends, acting as a mentor for each child, and setting a good example. If you have a love of reading, helping children enjoy reading, or serving your community, this position is perfect for you. Help is always needed and appreciated, and we hope you can help us change lives with Come Read With Me. Are you ready to volunteer with us? 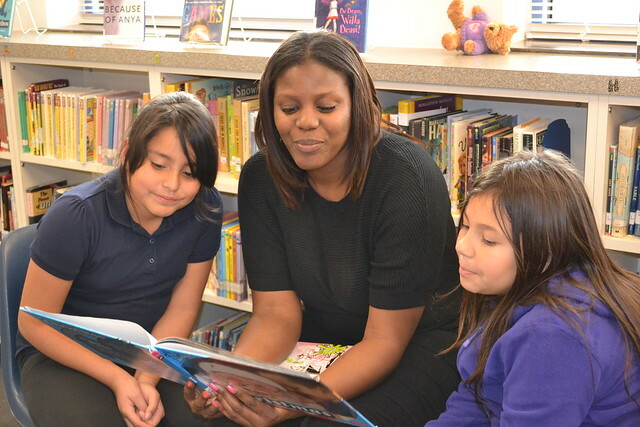 Click here to search for opportunities to volunteer with the Come Read with Me program. Once you locate the site where you plan to volunteer, click the blue Sign Up tab. If you’re a return user, enter your user name and password. If you’re new, apply to become a volunteer and fill out the required information. The minds of young children are always changing, growing, and most of all, searching for something to become. Reading just 20 minutes a day as a child drastically improves the child’s chance for success in all of areas of life. Volunteers help provide this nourishment for the mind, shaping young lives and bright futures. By learning to read, children are equipped to set high goals and become whatever they choose. With our Come Read with Me program, it is our hope that every child comes away from each session with a goal to reach for the stars. Not only do volunteers play a part in changing each child’s life through the written word, they also serve as role models that the children look up to and in some cases, inspire to be. Great volunteers are key in engaging children and helping them find a brighter future within themselves. Each child will grow close to their volunteer and through this bond, each child not only finds a friend, but they also finds a hero. We highly recommend volunteers read How to Teach a Slug to Read by Susan Pearson. It’s a quick read and helpful for those planning to read to and with children. Let's play a game. To begin, picture a world filled with people. Envision them walking around going about their daily activities, just as you and I do. Now imagine that these people have no concept of the written word. They cannot write a simple sentence, let alone record knowledge to be passed down. Nor can they read a letter or an intriguing novel. Below are some very helpful volunteer video clips providing information to assist you in volunteering with the Metropolitan Library System. Take a moment to view each one in preparation for your volunteer work with Come Read With Me. Curious about what to wear? We can help you with that! Just take a look at our dress code training and we will outline everything you need to know. The Metropolitan Library System is made up of 19 different library locations. Chances are you've visited us at more than one location. But you may not know about our other locations. Here's a quick guide on all of our locations! We want to show you how much we appreciate your time and efforts in helping us. That's why it's important to log your volunteer service hours. Forget to do it at the library? That's okay! Just follow this guide to log hours from home. We love our library system and we want you to love us too! Find out how you can engage with your library system online and how you can show your love! Student volunteers walk you through Come Read With Me tasks and provide insight on how important it is to volunteer. Can't make it to volunteer today? Watch this video to show you the proper way to address your volunteer absence. A few weeks ago I had the joy of reading books after school with some great students at Cleveland Elementary through the Come Read With Me program. What great fun. As a child, reading was instrumental in helping me get through some difficult times. In just 20 minutes, you can give a kid the gift of adventure, escape and enjoyment. I encourage you to take advantage of an opportunity to participate in the reading program once over next couple of months. I think you will be pleased you did. Come Read With Me has brought the joy of reading to a new generation of children---and reawakened the pleasure of reading in us. The program is an easy and enjoyable way for companies and their personnel to make a difference in our community. This involvement is especially important in times of severe budget cuts to our schools. We strongly support literacy and reading among our youngest students. Their future, and all of ours, will be much brighter if we give them the gift of loving to read. It is also a lot of fun for everyone. There is never a lack of volunteers among our staff to read with children in the various programs in which we participate. Come Read With Me is a remarkable program that is so important for the children. Platt College fully supports this program and we encourage others to participate in it as well. By taking just a few minutes out of your day, you are giving to these children something that they will be able to carry with them for more than just a few minutes. This is a gift that is priceless. It is a priority in Come Read with Me to establish the relevance of the local library and assisting in making that connection for each child and family to their local library location. Summer session Come Read with Me sites provide good opportunities to expose children to the added bonuses of artistic expression via local talent. For example, Edgar Cruz and Dwe Williams, performed at Come Read with Me sites. These are wonderful experiences for children to enjoy. Come Read with Me partners with after-school care sites. Our clientele are Oklahoma County residents. If a site is interested in partnering with us, below are some of the expectations listed in our Partnership Agreement. Provide a quiet clean place without visual and auditory distractions and with easy access (ideally, the media center). A total commitment to the idea of fun reading activities for children. At least 10 children enrolled in the after school care program. Program specialist and volunteers will read to children in small groups of five or so. Each reading period will be about 20-25 minutes long. Children will be grouped according to age and grade for ease in choosing books that will interest the whole group. On site After-school program staff will rotate children in for reading based on small group assignments. The children will stay during one reading period and not disrupt the group. The Boys & Girls Club of Oklahoma County is always at the forefront of youth development, working with young people from disadvantaged economic, social, and family circumstances throughout Oklahoma City. In partnering with the Club, Come Read With Me hopes to inspire a new generation of readers there. At the Presbyterian Urban Mission helping one another inside our community is first and foremost always. And in partnering with Come Read With Me this value is being fulfilled more and more everyday as each and every child read to is inspired by the power of reading. At the Foster Rec Center children come every day hoping to feel a sense of community and to grow in new ways. By taking part in Come Read With Me at the Rec center, these feelings are made a reality as they experience being part of a bigger community and growing into a better person through it.